Lovie Art Jewelry: Break Up Etiquette: Should You Give Back Your Jewelry? Break Up Etiquette: Should You Give Back Your Jewelry? Break-ups happen and they are never fun, even if it’s is for the best for both parties involved. But what do you do with jewelry given to you by an ex? 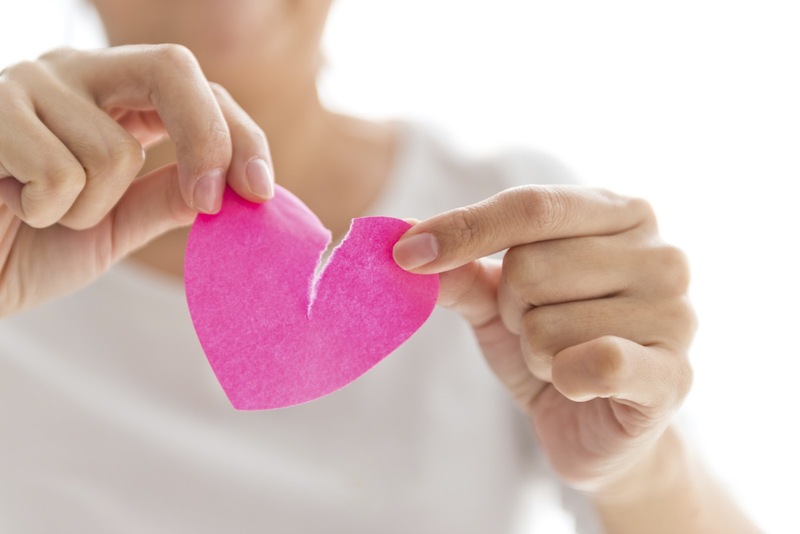 Is giving back gifts after a break up the right thing to do? What should you do with an engagement ring after a break up? This is a much debated question sparking conversations all over the web, and depending on where you look, the answer can vary widely showing just how divided people are on the issue. There is even a website just for broken-hearted women called www.exboyfriendjewelry.com where they can sell jewelry given to them by an ex to the highest bidder! We’ve done some digging trying to determine if there is any sort of consensus on the best course of action and what we found is both interesting and helpful. Here is some of what Reddit users think (and have done) when they found themselves in this very predicament. So what do the men of Reddit have to say? Engagement rings and family heirlooms should always be returned. The guy might not want the engagement ring back, but you should always ask. If the guy does not want you to return the jewelry back, it is yours to do what you like with it. You can keep it and wear it, throw it in the deepest, darkest ocean you can find, or sell it and go on an amazing vacation or buy that way-too-expensive bag you’ve been eyeing. All other jewelry given to you throughout the course of your relationship was given as a gift, which has no expectation of return and holds no stipulation that it is only for you if you are still together. What are your thoughts? Do you think jewelry should be returned after a break-up? How have you handled similar situations in your life? Share your thoughts with us in the comments below! My name is Sarah Andy i am here to give testimony of how i got back my husband, we got married for more than 9 years and have gotten two kids. thing were going well with us and we are always happy. until one day my husband started to behave in a way i could not understand, i was very confused by the way he treat me and the kids. later that month he did not come home again and he called me that he want a divorce, i asked him what have i done wrong to deserve this from him, all he was saying is that he want a divorce that he hate me and do not want to see me again in his life, i was mad and also frustrated do not know what to do,i was sick for more than 2 weeks because of the divorce. i love him so much he was everything to me without him my life is incomplete. i told my sister and she told me to contact a spell caster, i never believe in all this spell casting of a thing. i just want to try if something will come out of it. i contacted Dr.Malawi Racum for the return of my husband to me, they told me that my husband have been taken by another woman, that she cast a spell on him that is why he hate me and also want us to divorce. then they told me that they have to cast a spell on him that will make him return to me and the kids, they caste-red the spell and after 1 week my husband called me and he told me that i should forgive him, he started to apologize on phone and said that he still love me that he did not know what happen to him that he left me. it was the spell that he Dr.Malawi Racum caste-red on him that make him come back to me today,me and my family are now happy again today. thank you Dr.Malawi Racum for what you have done for me i would have been nothing today if not for your great spell. i want you my friends who are passing through all this kind of love problem of getting back their husband, wife , or ex boyfriend and girlfriend, if you have any problem you have to contact his email: meiismcenter@gmail.com and you will see that your problem will be solved without any delay.